Come to Delta Sigma Pi's Diversity Programming Panel! Hear from Cornell students about their recruitment experiences across a variety of industries utilizing diversity programming. 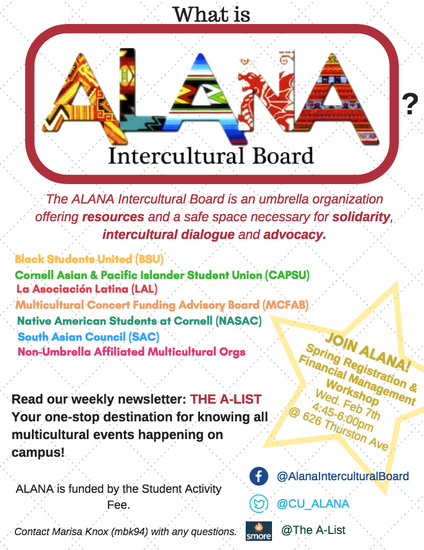 You will also receive resources about the different diversity programs available that can aid your job search. There will be opportunities for specific questions both during the panel and afterwards, as DSP brothers will remain to network and chat. Students of all ages and backgrounds are welcome to attend! 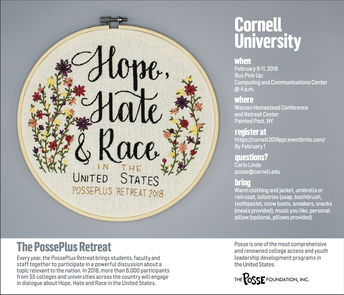 The topic of this year’s retreat is Hope, Hate & Race in the US. Lodging and meals are provided, as well as transportation. 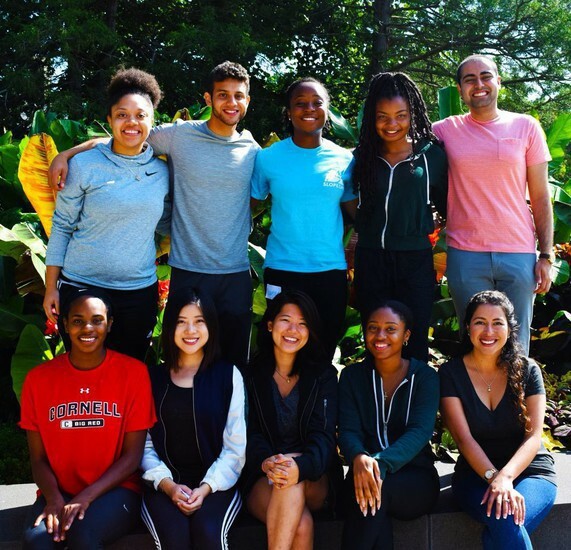 Posse Scholars from around the country are comfortable and familiar with group activities, 1-on-1 conversations, and the type of conversations happening at the collegiate level about social, political, national, or international topics. 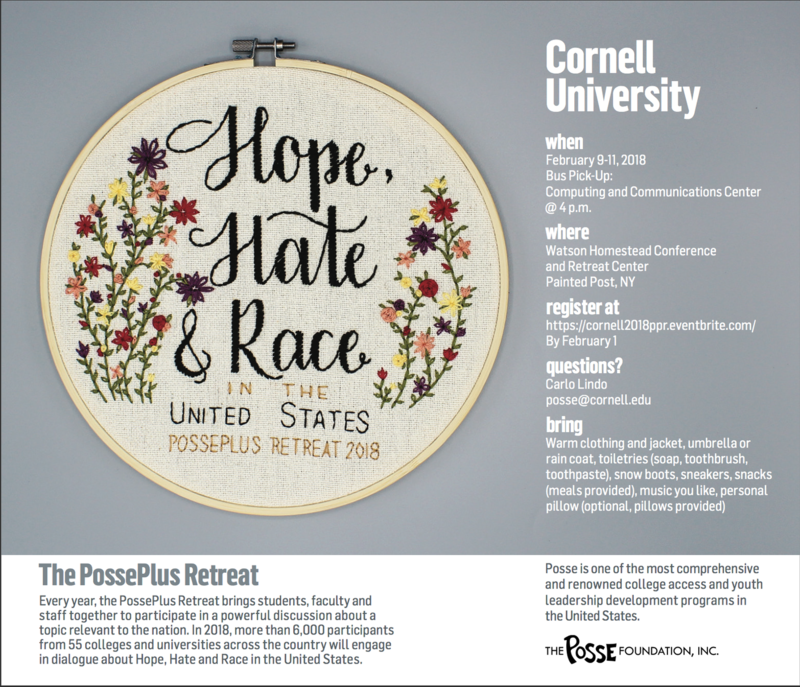 The Posse Plus Retreat (“PPR”) was started about 20 years ago when Scholars at Vanderbilt University decided they wanted to have those types of conversations with their non-Posse peers, faculty, and staff. 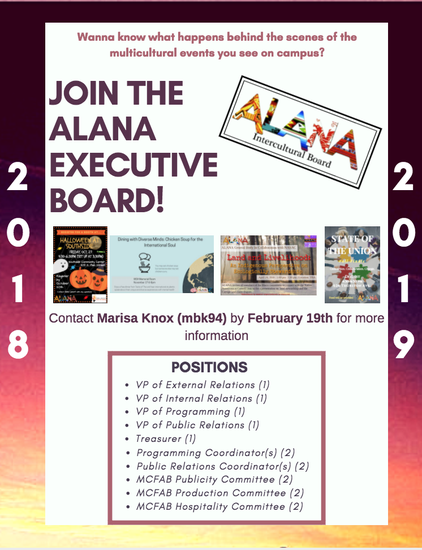 Hence, “Posse Plus.” That is how the PPR was formed, and why it still stands as a unique opportunity to connect, converse, and learn from those in our university community. This is not only a space to hear what students think about this particular topic, but also a space to share your own opinions and have in depth discussions with a variety of people. 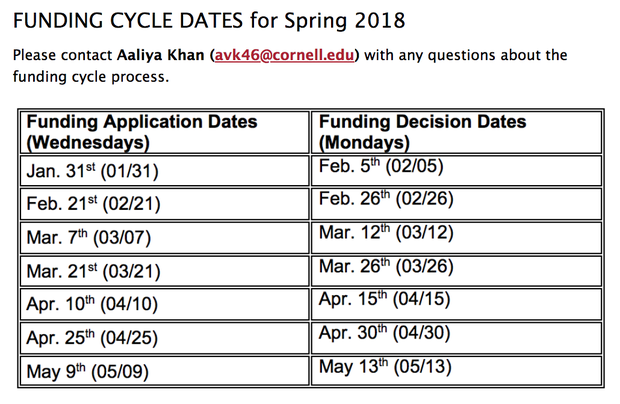 I know that can make one feel vulnerable and seem out of the norm here at Cornell, but the goal of the PPR is to allow for a space that wouldn’t otherwise exist to have those types of conversations with students, faculty, staff and others in the Cornell Community. The other piece to note is this retreat takes place over three days-the evening of February 9th to the afternoon of February 11th. The deadline to RSVP is February 1st. I hope you consider the invitation. I look forward to seeing you there. 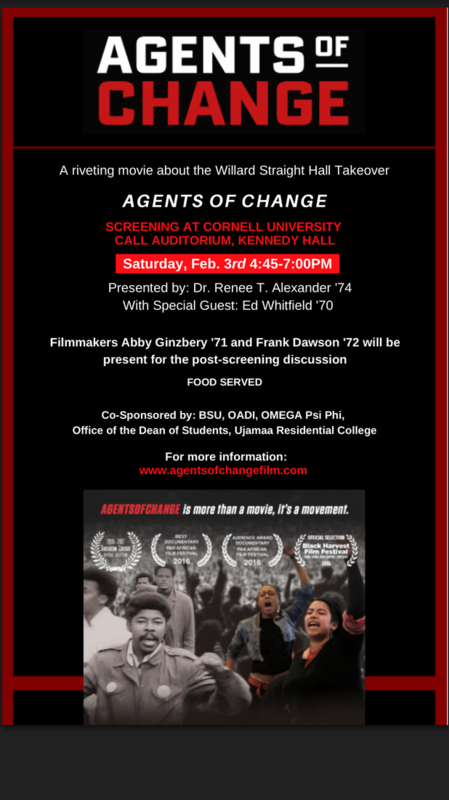 This event is open to any and all Cornell affiliated students, faculty, staff, etc. If you know a graduate student, professor, director, coach, or anyone that should be invited to this event, please send me their contact information.